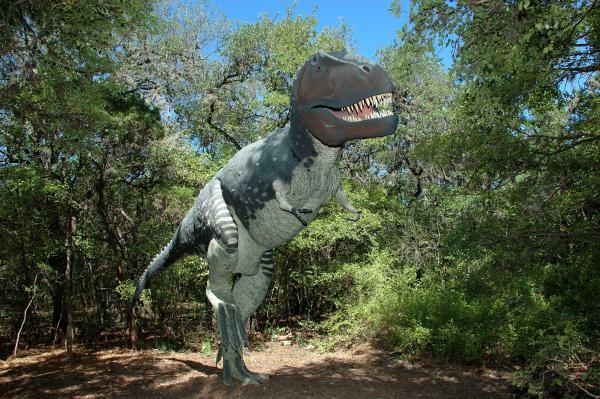 Dino Land Exhibit at Zilker Botanical Garden. You can spend a whole day just in the Zilker Park area. Fed by natural springs that keep the water a refreshing 68-degrees year-round, there&apos;s no better place for families to beat the heat than Barton Springs Pool. Enjoy views of downtown on the Zilker Zephyr Miniature Train. After the 20-minute ride that goes over bridges, through tunnels and along Lady Bird Lake, there&apos;s a great playground close by. Still have energy? Paddle around Barton Creek or Lady Bird Lake on a canoe or kayak from Zilker Park Boat Rentals. Also within Zilker Park is the Zilker Botanical Garden, Austin Nature & Science Center and Umlauf Sculpture Garden and Museum. After your Zilker Park adventure, stop by the nearby food trailer park, The Picnic, and eat from one of several food trucks. 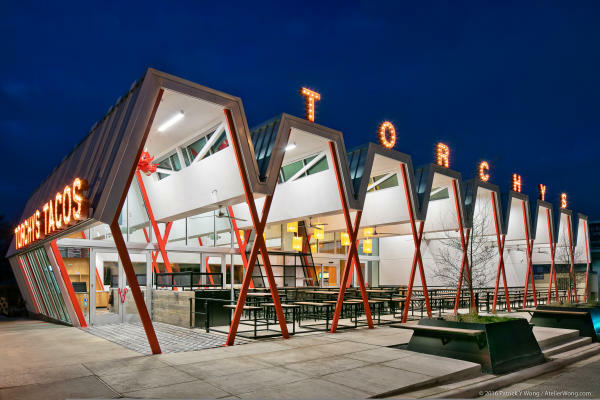 Torchy&apos;s South Congress. Credit Patrick Y Wong, AtelierWong.com. Another area of town that has many options for families is Mueller. Start the day by exploring Austin&apos;s children museum, the Thinkery and then head across the street to the Mueller Lake Park and playground. For lunch, enjoy food and a movie at the new Alamo Drafthouse. Also within Mueller are many restaurants and shops, the delicious and photo friendly, Bribery Bakery, a food trailer food court and a Sunday farmer’s market. The hottest new area in Austin is the Domain NORTHSIDE. Located in North Central Austin, this development includes shops, restaurants, hotels and more. Every first Wednesday of the month, from 10 a.m.-noon they host kid friendly events on the NORTHSIDE Lawn. Want to really impress your children? Take them to the 24-hour cupcake ATM outside Sprinkles bakery. Kids Pool. Courtesy of Lakeway Resort & Spa. 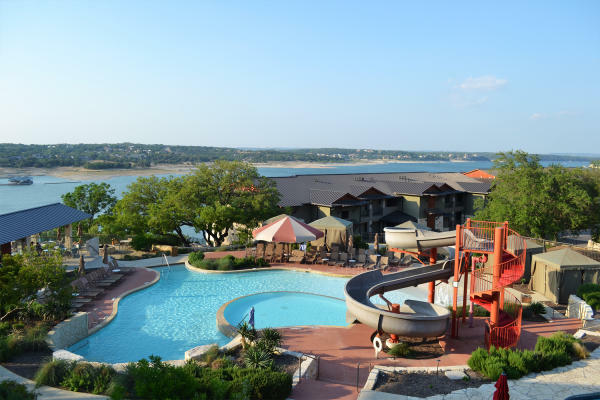 In the hot summer months, head to Lake Travis for a family adventure on the water. Stay at Lakeway Resort & Spa, rent a boat or wave runner at Just for Fun and end the evening at The Oasis for dinner and an amazing sunset. Visit laketravis.com to learn more information on what to see and do in the area. Want more info on things to do in Austin with your family? Check out Do512 Family and Free Fun in Austin.